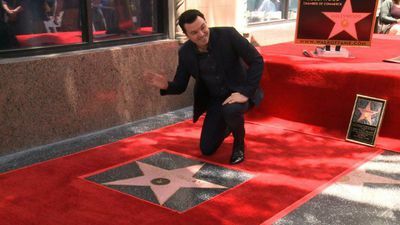 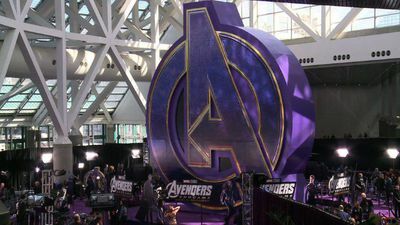 US multi-talented actor Seth MacFarlane – also voice-over artist, animator, screenwriter, comedian and director – unveils his star on the Hollywood Walk of Fame. 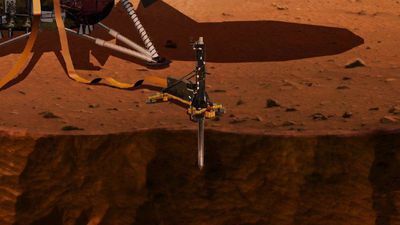 Videographic on the InSight mission. 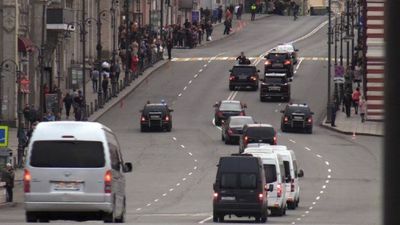 Scientists said Tuesday they might have detected the first known seismic tremor on Mars in a discovery that could shed light on the ancient origins of Earth's neighbour. 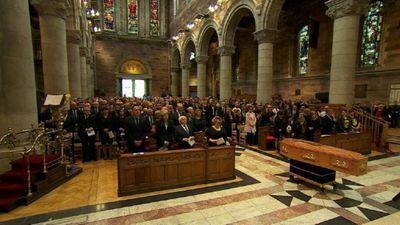 Lyra McKee's coffin arrives at her funeral, the journalist was killed by a dissident republican paramilitary in Northern Ireland. 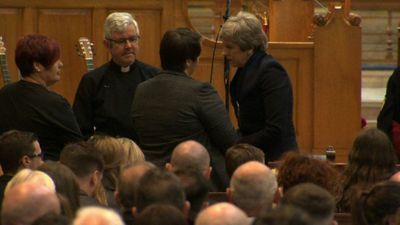 Politicians including Theresa May, Jeremy Corbyn, Arlene Foster and Leo Varadkar at the funeral for the journalist killed by a dissident republican paramilitary in Northern Ireland. 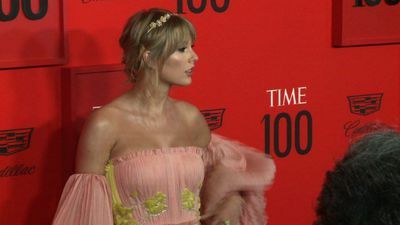 Celebrities like Emilia Clarke and Taylor swift as well as US politician Nancy Pelosi and Liverpool star Mohamed Salah arrive at the red carpet for Time magazine's "100 Most Influential People of 2019" gala event. 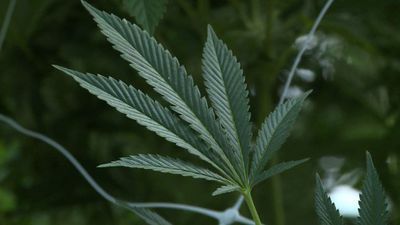 A meticulous marijuana factory in the middle of the Uruguayan countryside is preparing to export its first harvest as six tonnes of the green plant prepares to land in medical markets across Europe, Canada and Australia. 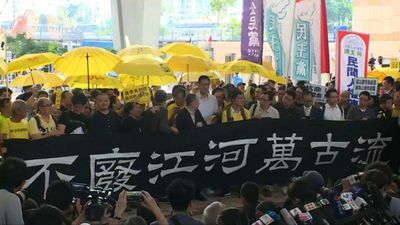 Four prominent leaders of Hong Kong's democracy movement were jailed on public nuisance laws for their roles in organising the Umbrella movement, the 2014 mass pro-democracy protests that brought parts of the city to a standstill for months. 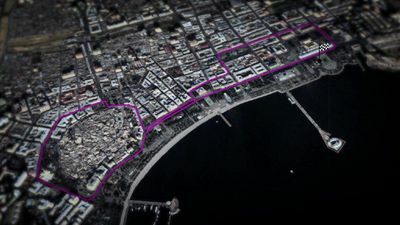 Videographic presentation of the circuit ahead of the Azerbaijan Grand Prix in Baku this weekend. 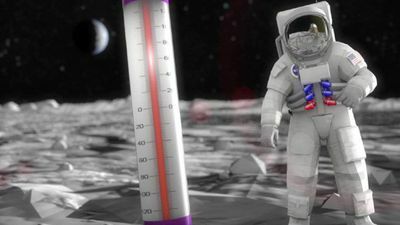 Videographic presentation of the moon. 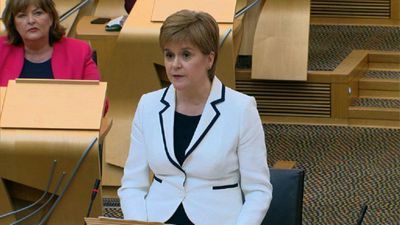 China plans to send a manned mission to the moon and to build a research station there within the next decade, state media reported on Wednesday. 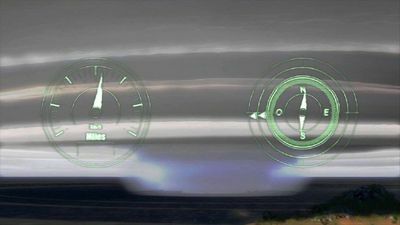 Videographic on hurricanes. 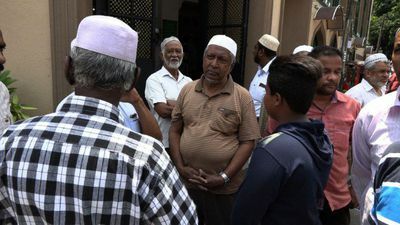 A tropical system off Mozambique threatens to unleash a cyclone on the northern Cabo Delgado province just weeks after the country's central parts were ravaged by a powerful storm. 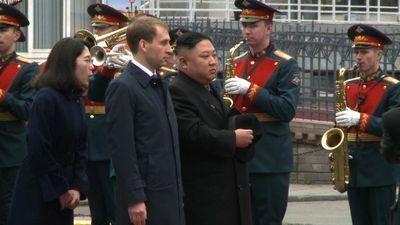 North Korean leader Kim Jong Un arrives in Vladivostok the day before his first summit with Russian President Vladimir Putin. 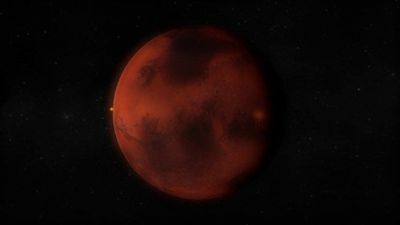 Short videographic on the Solar system and Mars. 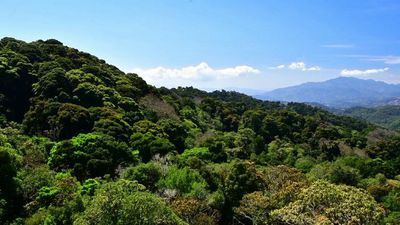 Scientists say they may have detected the first known seismic tremor on the planet, a discovery that could shed light on the ancient origins of Earth's neighbour. 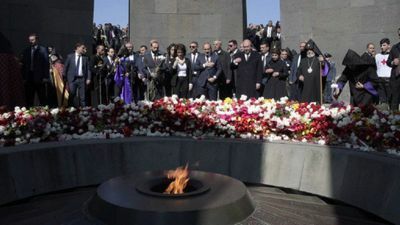 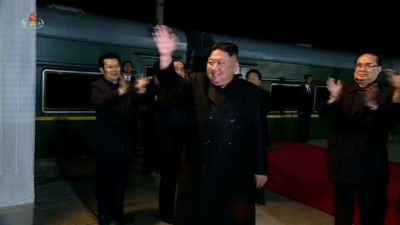 North Korean leader Kim Jong Un arrives in Vladivostok, Russia, for his first summit with President Vladimir Putin, as Pyongyang seeks support in its nuclear deadlock with the United States. 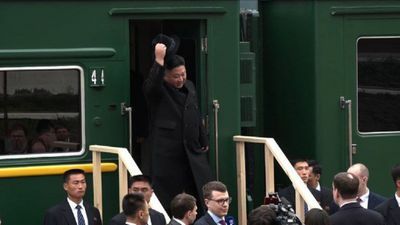 Waving and smiling, North Korean leader Kim Jong Un prepares to board one of his signature olive-green trains, following in his father's tracks to head for Vladivostok and a summit with Vladimir Putin. 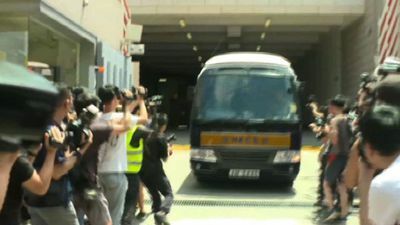 Four prominent leaders of Hong Kong's democracy movement are jailed for their role in organising mass pro-democracy protests in 2014 that paralysed the city for months and infuriated Beijing.